3. 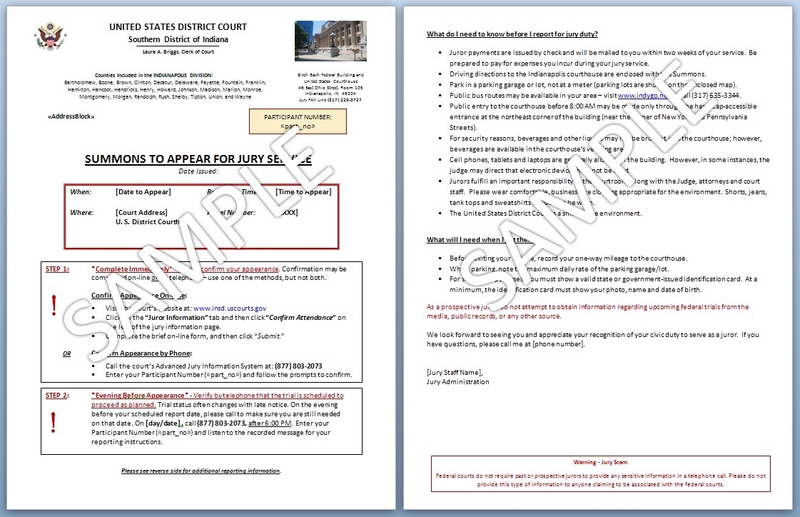 Summons to Appear for Jury Service - IF your appearance is necessary for jury selection, you will receive a Summons to Appear for Jury Service. 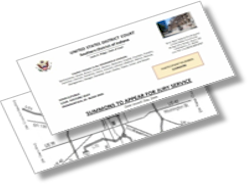 Summonses are mailed approximately 2 to 3 weeks in advance of your scheduled reporting date and provide detailed reporting instructions, directions and maps to the courthouse. 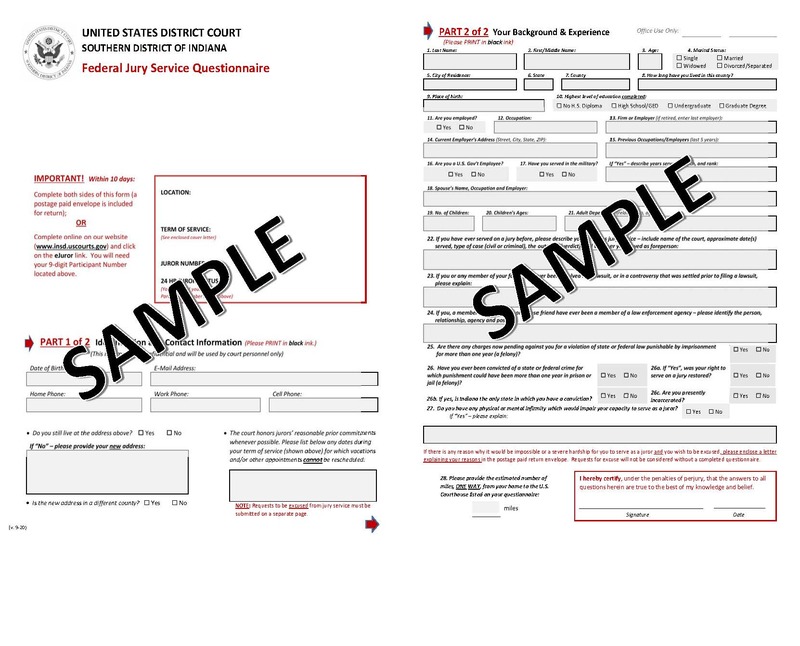 The forms itemized above will come to you by U. S. Mail. Read the information carefully as it will answer most, if not all, questions you may have. If you receive a phone call or an e-mail from someone claiming to be a court official, DO NOT give them your social security number or credit card information. This court will never ask for this confidential information over the phone or by e-mail. 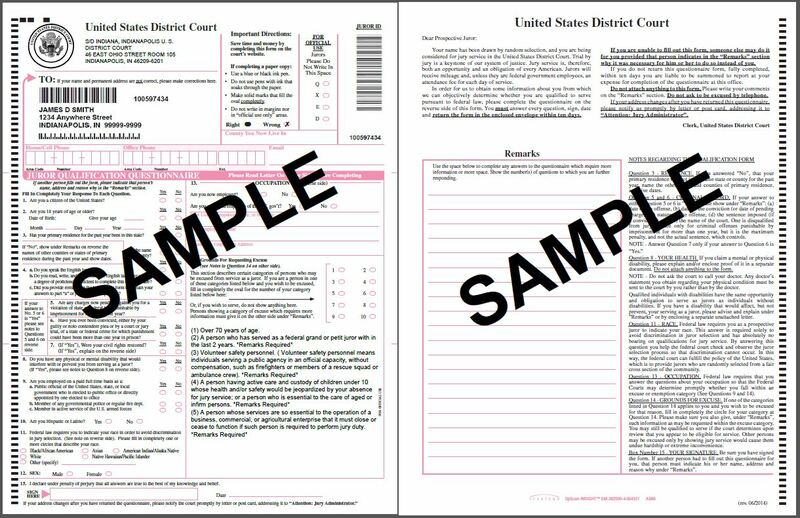 A trial jury listens to evidence in a courtroom and determines the facts in a case. In a criminal trial, it is up to the trial jury to determine whether or not a defendant is guilty of the acts he/she has been accused of committing. 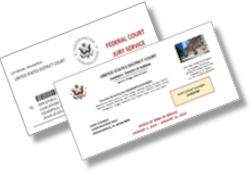 Trial juries do not determine the sentence or penalty a defendant will face. The sentence is imposed by the judge. In a civil case, trial jurors determine whether the plaintiff wins the case. Trial juries consist of a minimum of 6 to 14 jurors depending on whether they serve in a civil or criminal trial. 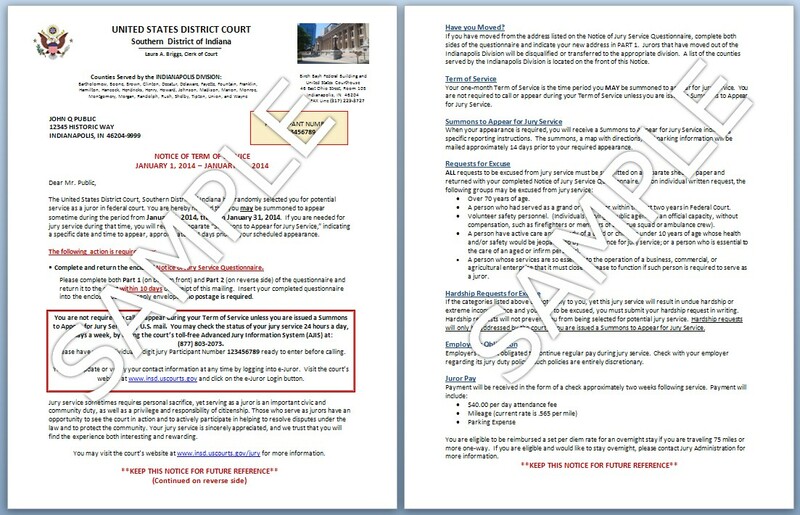 Updating the court with any changes to your availability after you have been notified of your one month term of service.